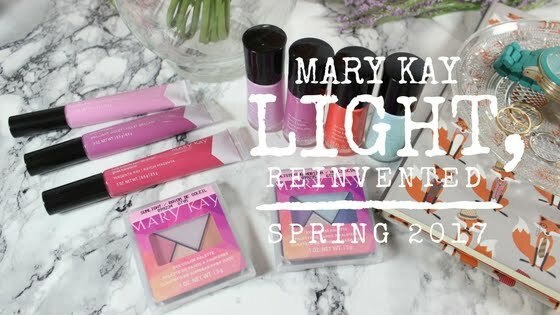 Mary Kay's new Light, Reinvented Collection for Spring 2017 is all about fun and flirty colours to help us all forget about the gloomy winter behind us. 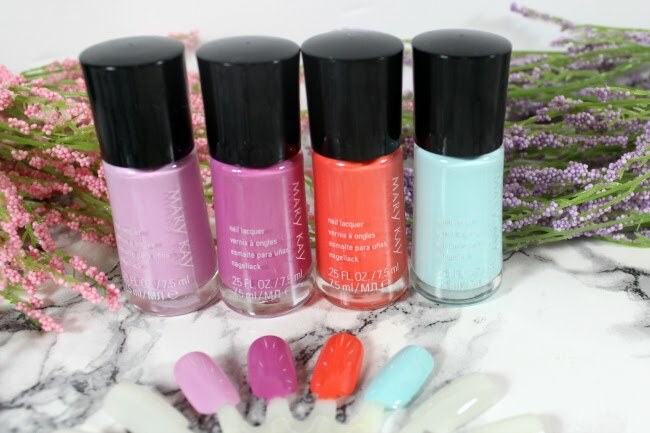 Mary Kay nail lacquers seem to be pretty famous for their quality and limited edition colours. This time around there are four very nice shades that I think are prefect for easing us into nicer weather. The shades are Luminous Mauve, Brilliant Violet, Vivid Sunburst and New Blue. I find the formulas go on nice an opaque after two coats. 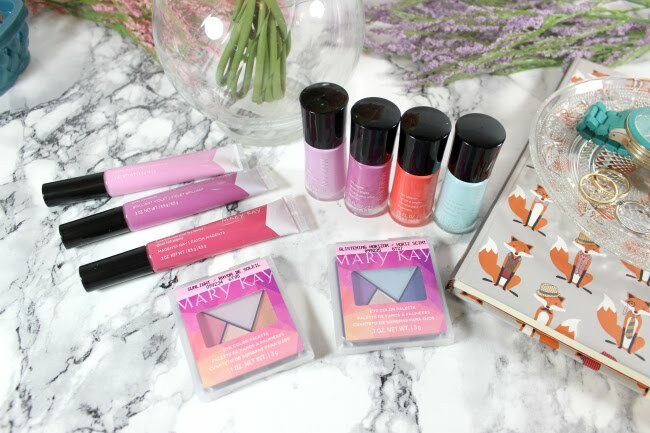 All the shades are beautiful creams that I think are very suiting for spring time. 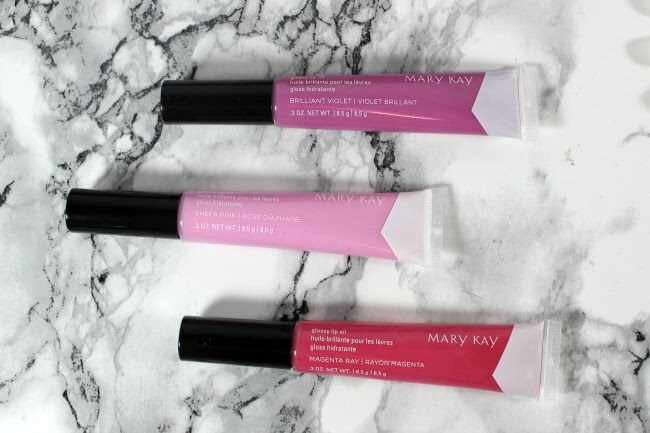 With Grape Seed, Avocado and Jojoba oil, these lip oils not only look amazing but they help your lips feel that way too. 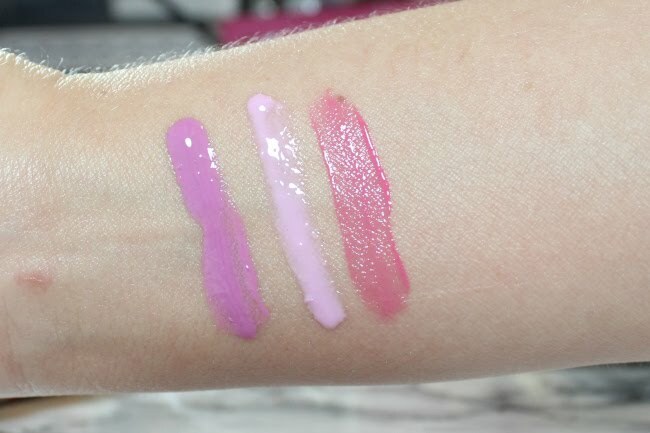 These Gloss Lip Oils come in tubes with cushion applicators, which is fantastic if you are a fan of doe stick applicators but not how unsanitary they are, and if your a fan of tubes but wish they were more like a doe foot. They feel like a light weight gloss on the lips and have medium coverage to them while being pretty darn shinny. The three shades are Brilliant Violet, Sheer Pink and Magenta Ray. Magenta Ray is the most pigmented of the three, it is a pinky shade that is pretty pigmented even when applied lightly to the lips. Brilliant Violet is almost as pigmented, it a pretty purple shade. Lastly, Sheer Pink is just that a sheer shade compared to the other. It also has a bit more white to it which can show in lip lines if applied too thick. Overall they are a great lip gloss in a convent package that happens to be good for your lips, I see no down sides at all about them. 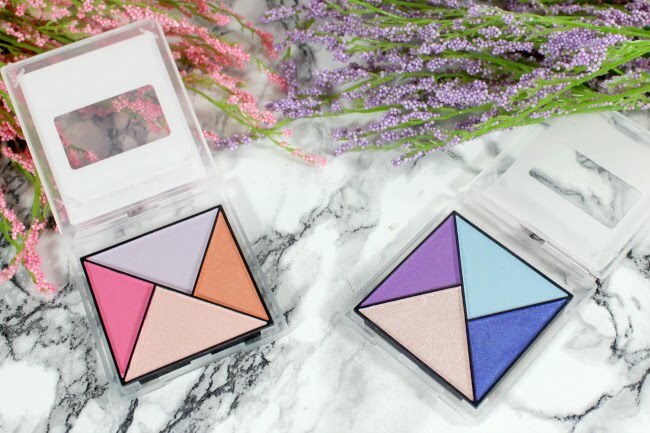 Mary Kay has two new eye shadow palettes that scream spring, Sunlight and Glistening Horizon. They come with four shades in them with a geometric design to their division. There is something that screams early 90's about these palettes to me, I think if they came in a boring way of dividing them they wouldn't look that way to me, but they do. They all both incredibly creamy and have beautiful finishes to them when applied. Sunlight has a pink, lilac, peach-orange and a light-peach in it. 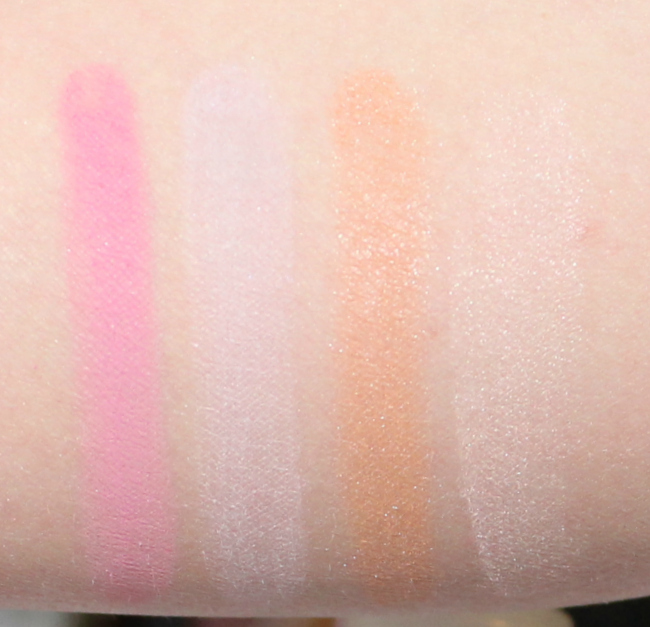 All the shades look like they have shimmer in them, but the pink and lavender show barely any when they are applied. The peach-orange has a tad of shimmer when applied while the light-peach has quite a bit, making it a great highlighter. Together they work really well to make some nice looks. I really love the pink and lavender mixed together on the lids, while the other shades work well to highlight. This palette has gotten some pretty steady rotation from me the last few weeks, I really love the looks I create with it and how buttery the shadows are. Glistening Horizon has a purple, light blue, sapphire blue and champagne shades in it. 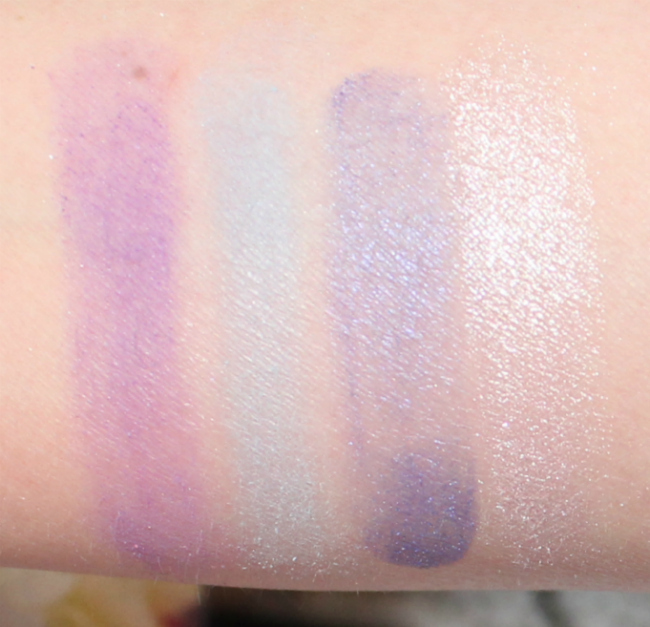 The light blue shade has no shimmer in it when applied, while the purple and sapphire have quite a bit of shimmer in them. The champagne shade is almost metallic in how it goes on the skin. The whole palette is incredibly pigmented and the shadows are buttery so they blend really well. As some one with blue eyes, blue palettes have never been my thing, but I do love these shadows consistency and colours. I would love to see someone with brown eyes wear it. 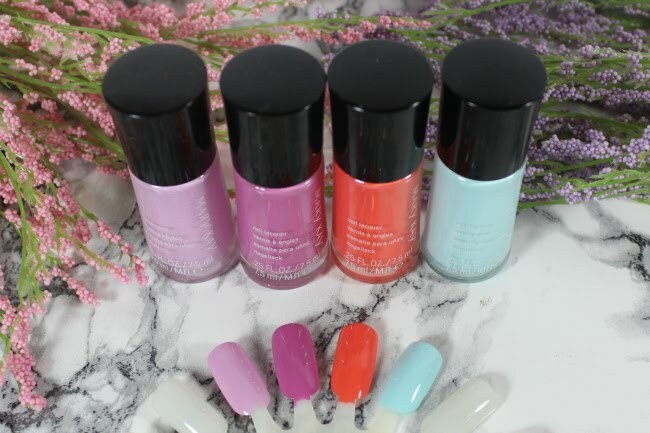 Are you ready to lighten things up with Spring on its way? I am, and this collection I think really sets the tone nicely. *Products were sent from Pr for review purposes. All views and opinions are my own.